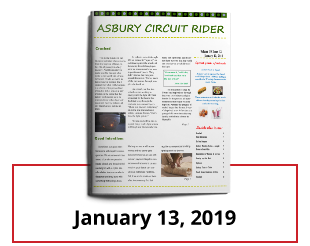 The Asbury Circuit Rider is our weekly newsletter available each week during worship & mailed monthly. Contact us to receive by email or U.S. postal mail (monthly only). Submit announcements, schedule changes, poems, articles and other content to: AsburyCircuitRider@gmail.com.